While there's certainly no lack of things to do in Chester, VT, it is not surprising that many visitors choose Chester as their base for exploring the rest of Southern Vermont. Centrally located to many of the region's top attractions, Chester is an ideal place to anchor a stay—whether you plan on keeping close to town or venturing further afield for all that the Green Mountains and the Okemo Valley have to offer. Returning from your day trips, you'll find a variety of dining options to satisfy everyone's tastes, from intimate fine dining experiences to cheery taverns, at the restaurants in Chester, VT. Serving fresh creative comfort fare in a warm relaxed environment. Full bar, extensive wine list, locally sourced provisions, espresso & cappuccino, house made desserts, daily specials. Open Tues. – Sun. for dinner, Saturday lunch. Exquisite Sunday Brunch from 10 am – 2 pm. On the Green – Chester. 20 guest rooms. Lunch & Dinner comfortable casual dining. Exceptional menu. Wines, 10 Vermont beers on tap and full bar. Large fireplace in lobby and also in our tavern. Front porch dining in season. Fine/Casual Dining Monday-Saturday 5 pm – 9 pm. Lunch Wed. – Sat 11:30 am – 3:00 pm. Yankee Magazine Top 10 Historic Inn! Nine spacious, sunny guestrooms, two with kitchen suites, all with private baths. Bountiful country breakfasts and Wi-Fi included. Pond, river and beautiful meadow on site. Reasonable rates. Families very welcome. Okemo Stay & Ski Packages! Quilting and Yoga Retreats our specialty. Vermont Victorian family bed and breakfast inn and shopping destination welcomes all ages since 1982! Private baths, full breakfast, relaxed setting, with a pleasure to serve. 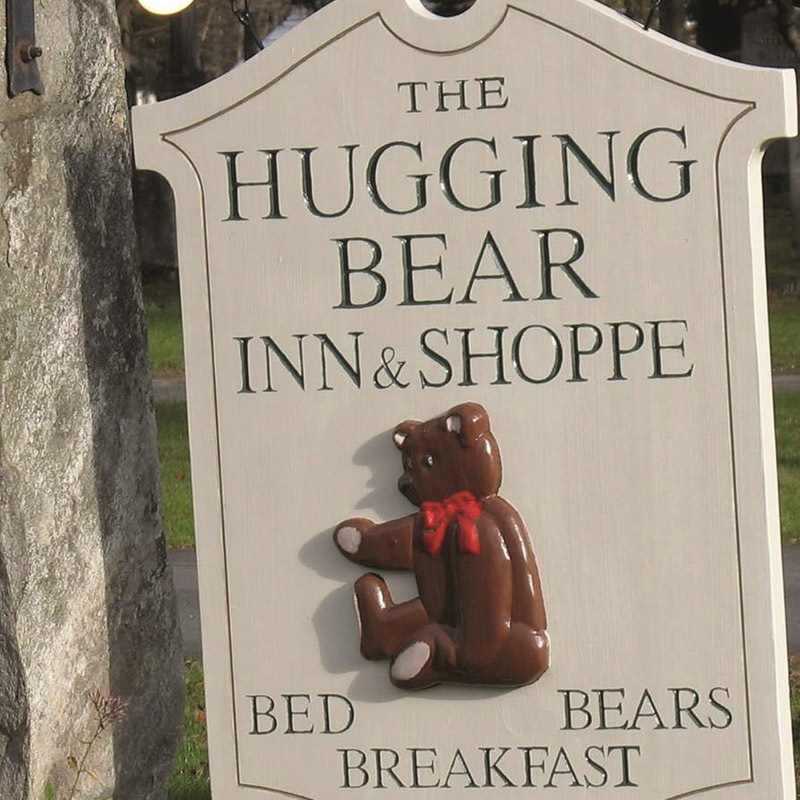 Shop boasts 10,000 teddy bears. You get friends for life here! Across from the Village Green. See "Shopping". Acclaimed by Yankee Magazine, TripAdvisor, Boston Globe and others, this Historic Victorian Treasure is a must see! Take a free tour & reserve your seating for afternoon High Tea. Okemo’s Valley’s highest rated B&B awaits your pleasure. Penny & Dan Cote, owners. Step through our door and you’ll be transported across the Atlantic and into an authentic Scottish pub where you will instantly sense centuries of Scottish hospitality. Join us at MacLaomainn’s Sunday thru Thursday 11:30AM-11:00PM, Friday-Saturday 11:30AM- Midnight.